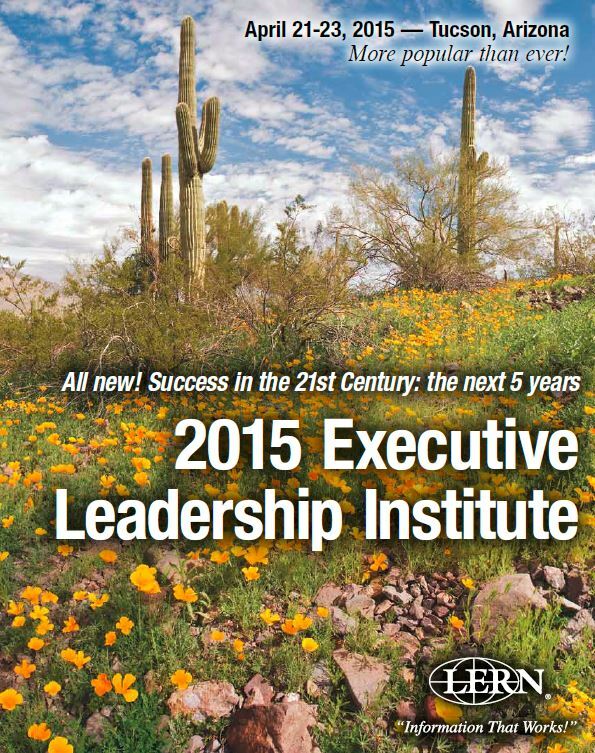 The LERN Executive Leadership Institute in Tucson, Arizona was a big success. Attendees were leaders in the field of lifelong learning and topics shared and discussed addressed many of the challenges and opportunities facing lifelong learning programming and continuing education leaders. The LERN Team presented on practical information, change marketing, inbound/outbound marketing, learning styles, and industry trends. Many thanks to all attendees for making the ELI a winner.